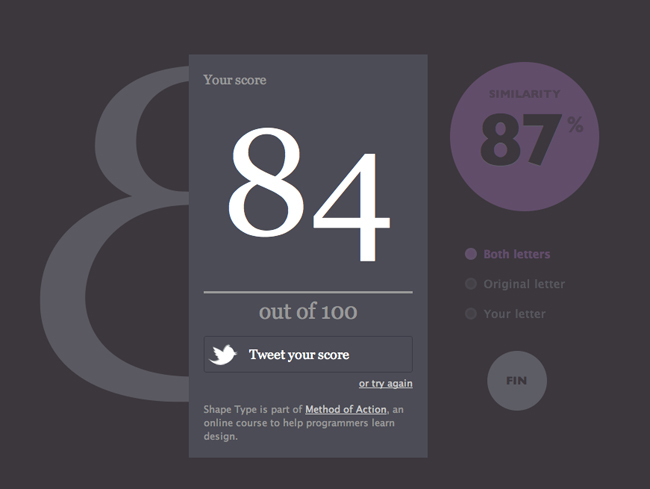 From the folks at Method of Action who brought you The Color Game and Kern, here is a game called Shape Type. I found this one to be trickier than the other two, myself, but see what you think. 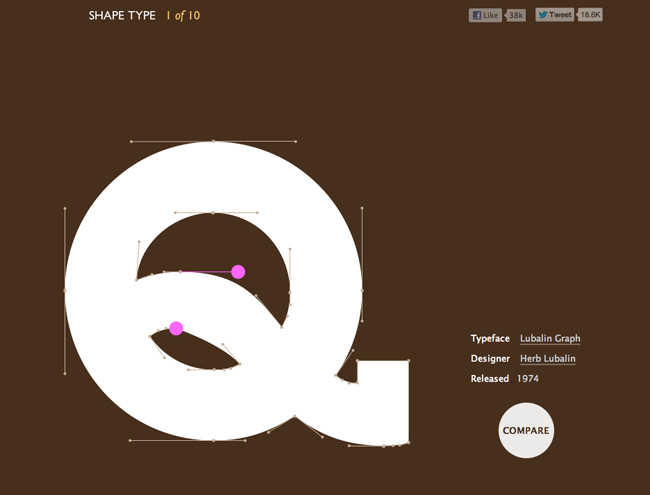 It certainly shows you the delicate subtlety in the beauty of type. I got 84%. What did you get? Where I can find the game rules?Or maybe the instructions?